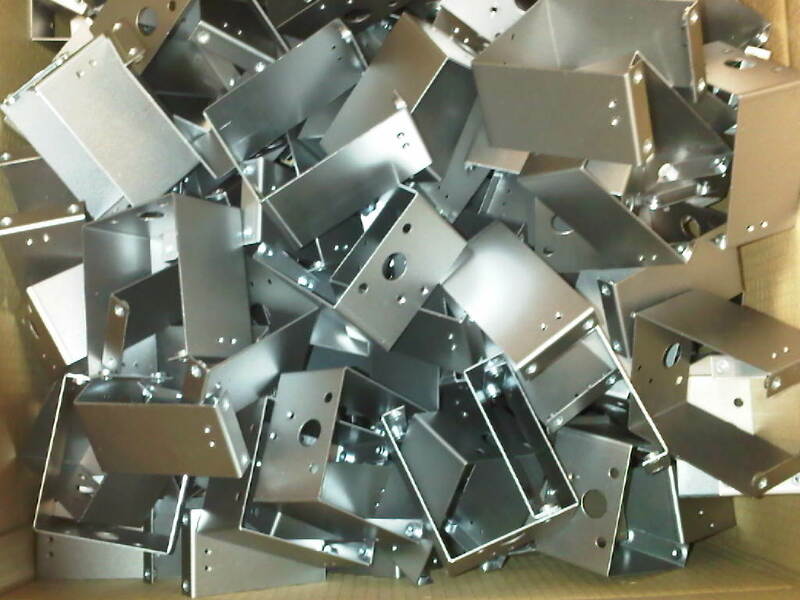 If you are looking for a manufacturer of sheet metal components in the UK take a look at V and F Sheet Metal. 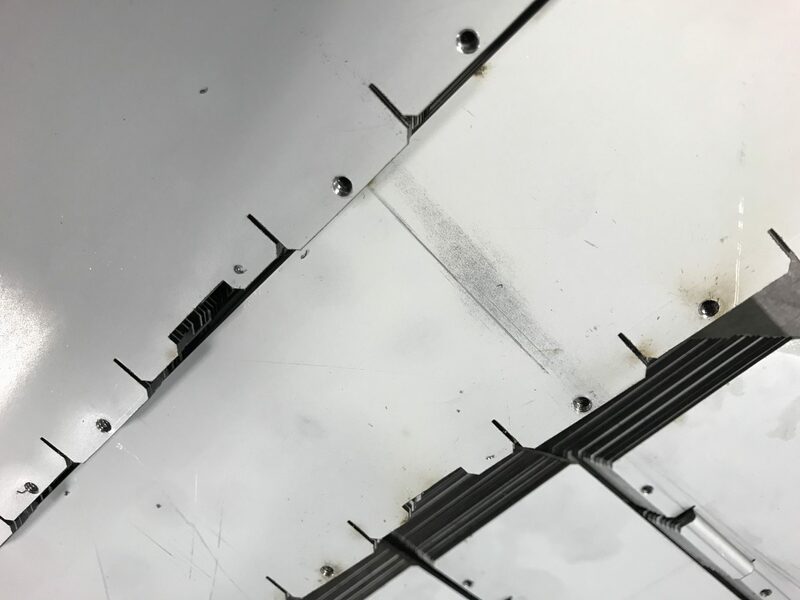 Perhaps you have to source a small batch of sheet metal work for a special project. 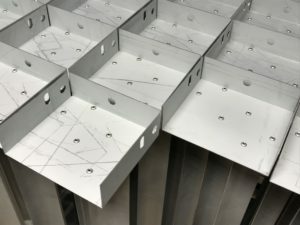 You have a new design that requires sheet metal assemblies. 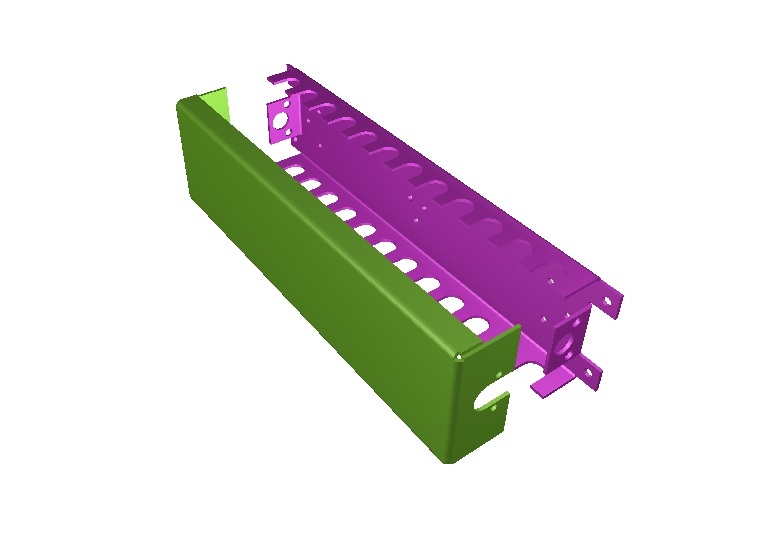 You have an established product that needs a cost / design review. 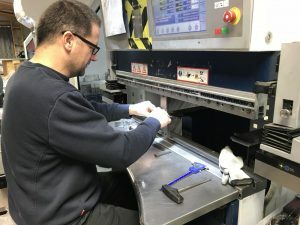 Whatever your requirements we are here to help. 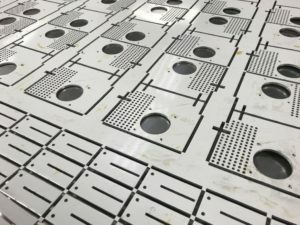 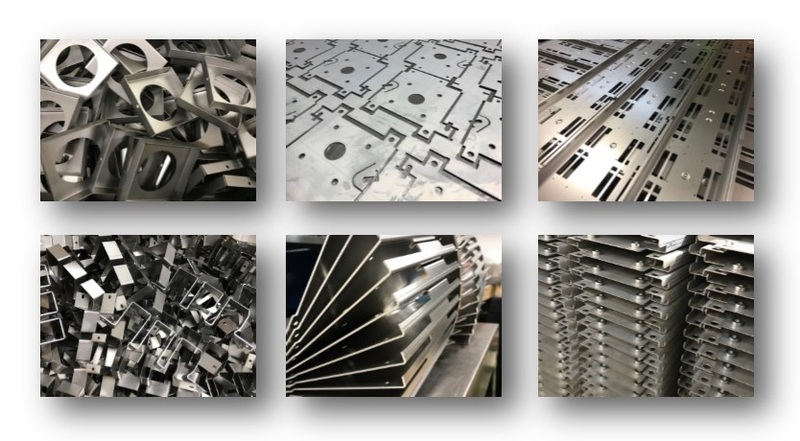 With over 30 years experience in a wide range of sheet metal manufacturing processes we can apply a keen eye to your designs. If we can suggest small changes to save time or material we will be happy to save you money. Whether it’s laser cutting, CNC punching or CNC bending we have the facilities to support you. 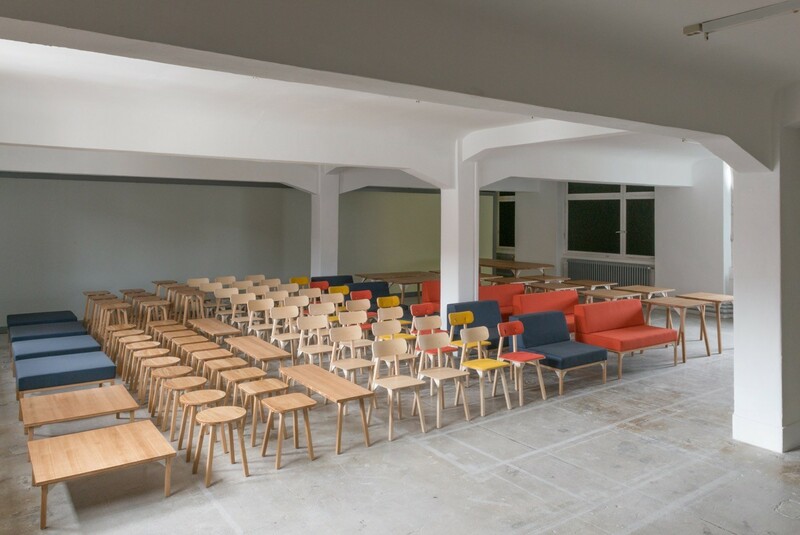 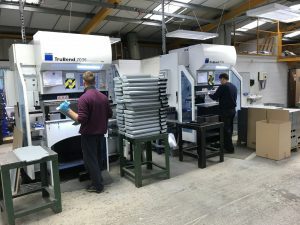 Take a look at some of our past projects and I’m sure you will see we have the facilities to support you. 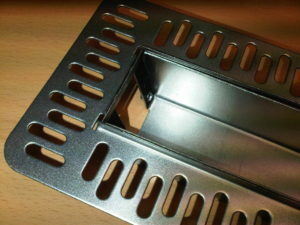 Working with all the standard sheet metal materials as well as special lighting materials, many on the shelf. From 0.3mm up to 8mm thick and from small brackets on a few mm across right up to 3M long sections. 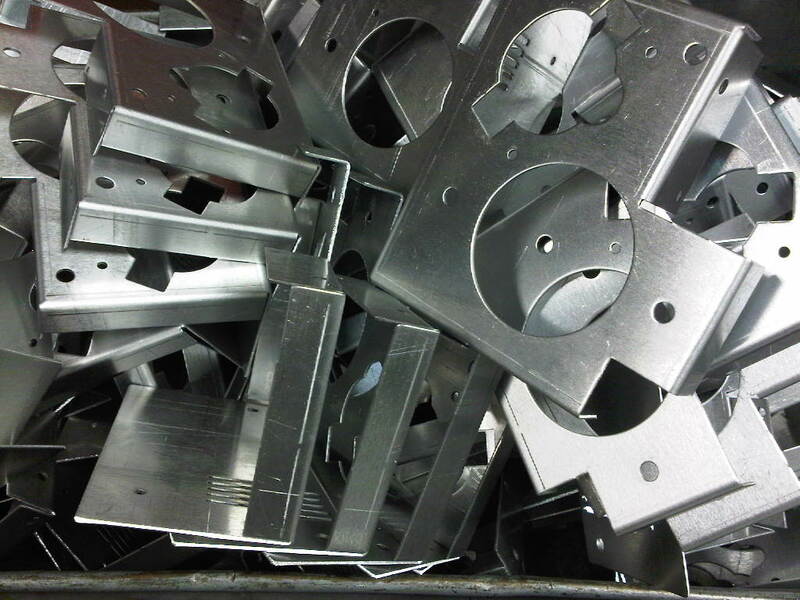 We can cover the vast majority of sheet metal manufacturing projects required by you. 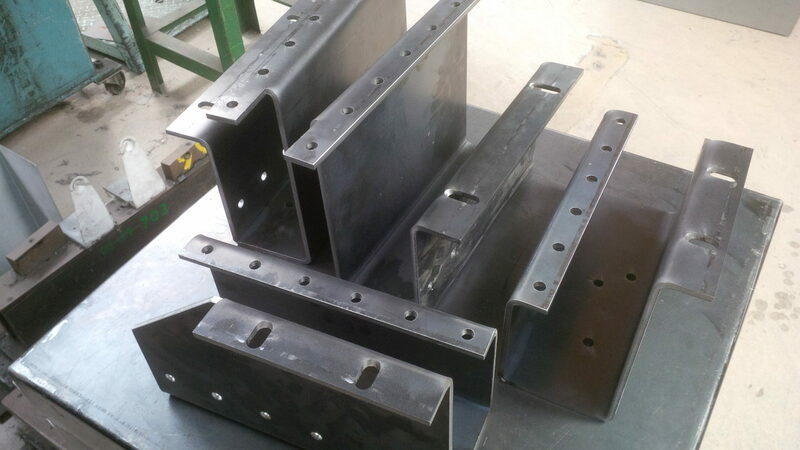 Call us on 01489 577786 and our engineering team will be happy to talk with you. If you prefer, feel free to send us your drawings to sales@vandf.co.uk and we will work on cost options for you. 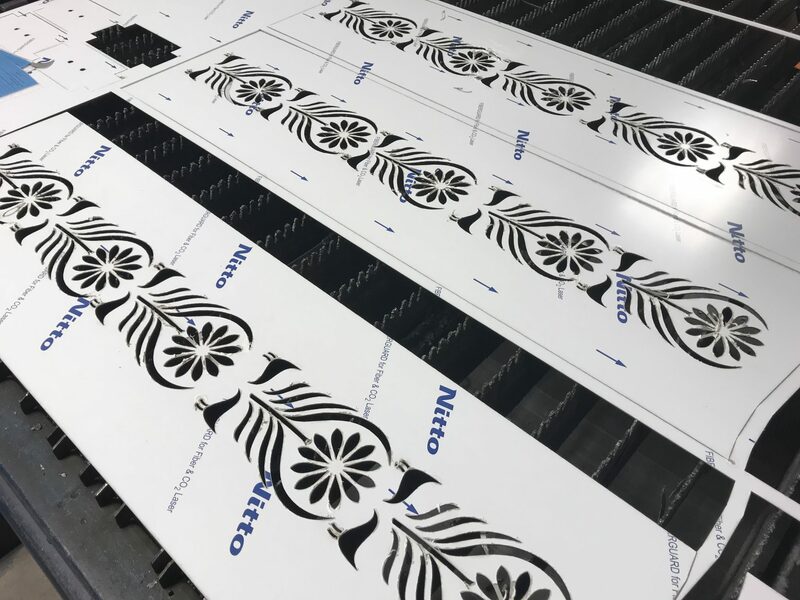 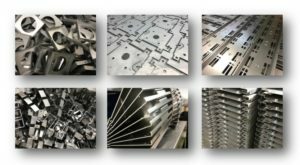 Zintec, a zinc coated mild steel sheet metal which is ideal for laser cutting. 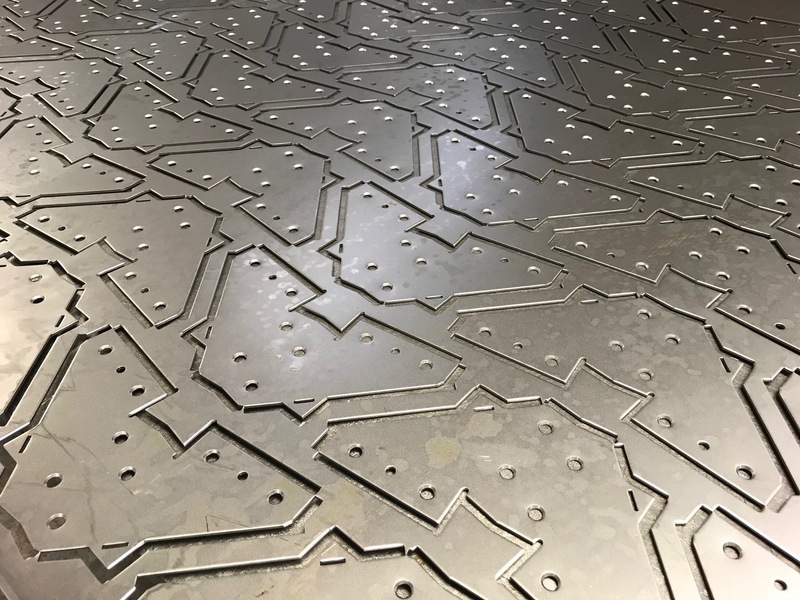 Zintec laser cuts beautifully as it’s basically mild steel but without the oil film. 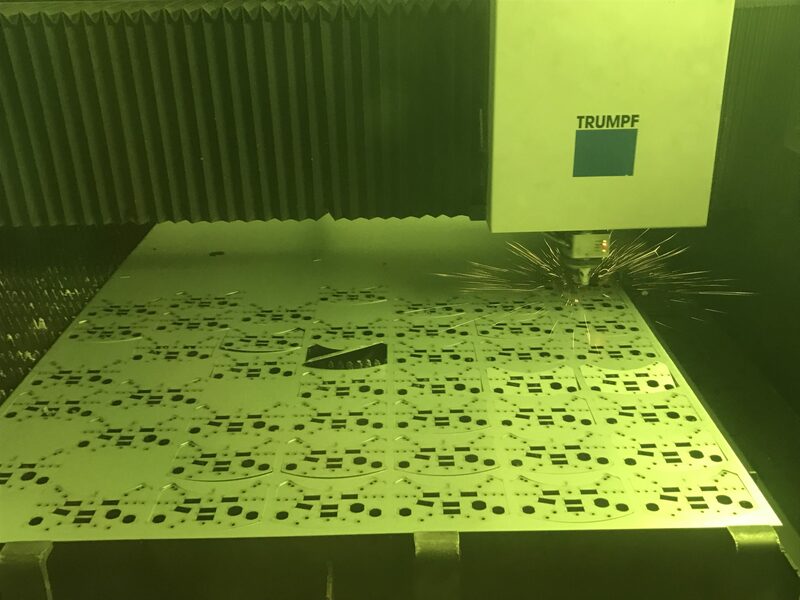 Being dry there are less burn marks with our Trumpf 3030 fibre laser cutter. 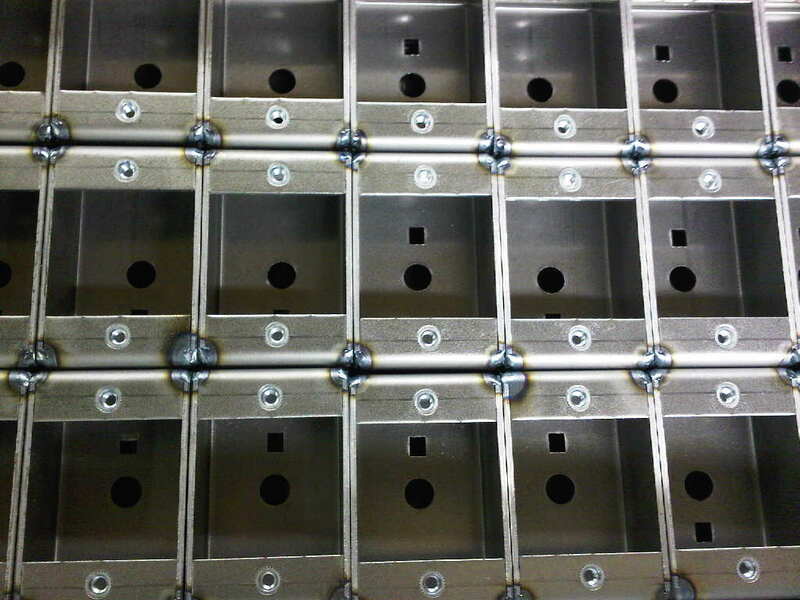 You can easily see how efficiently we can lay components on a given sheet of metal. 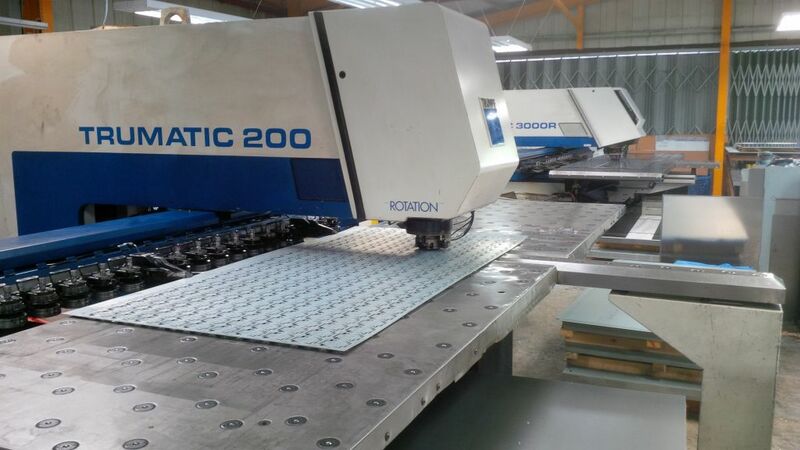 Using Radan CAD/CAM software enables us to program each part and the full sheet away from the shop floor. 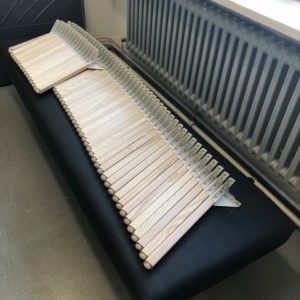 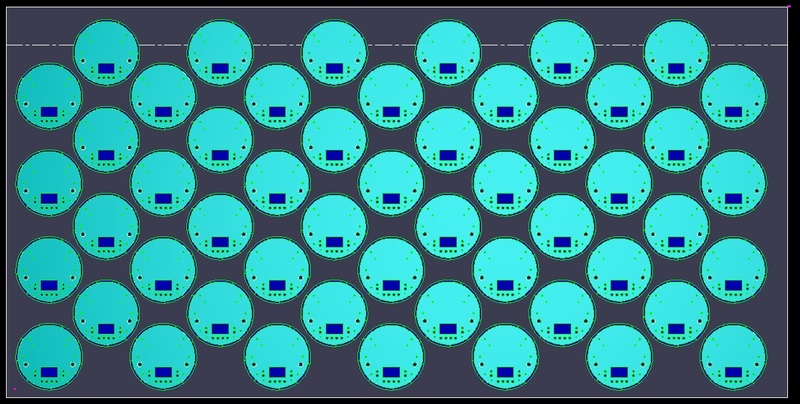 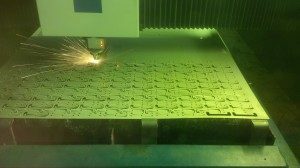 These laser cutting nests are crated automatically with the software and rarely do we need to amend them. For lots of examples of past CNC programming projects why not take a look at our Pinterest Board. 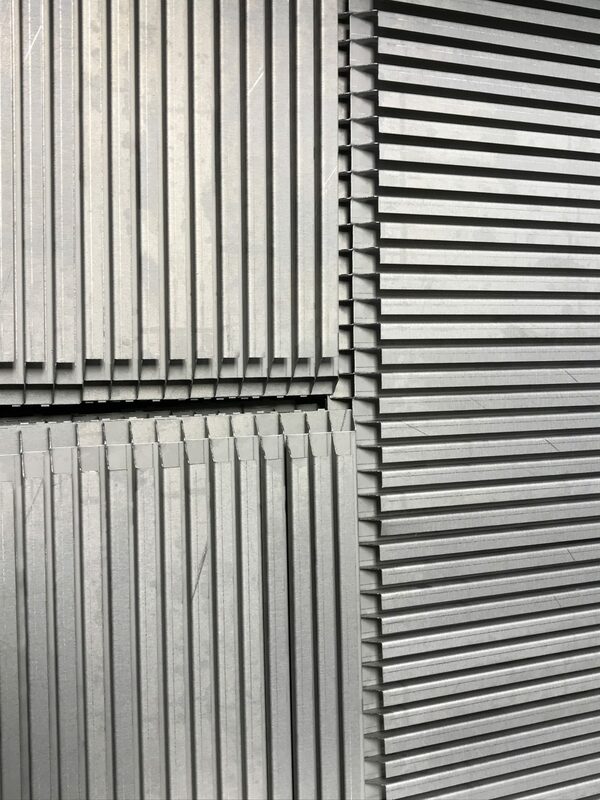 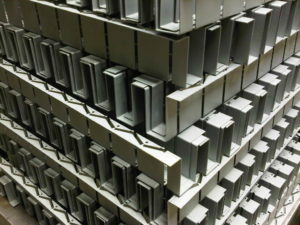 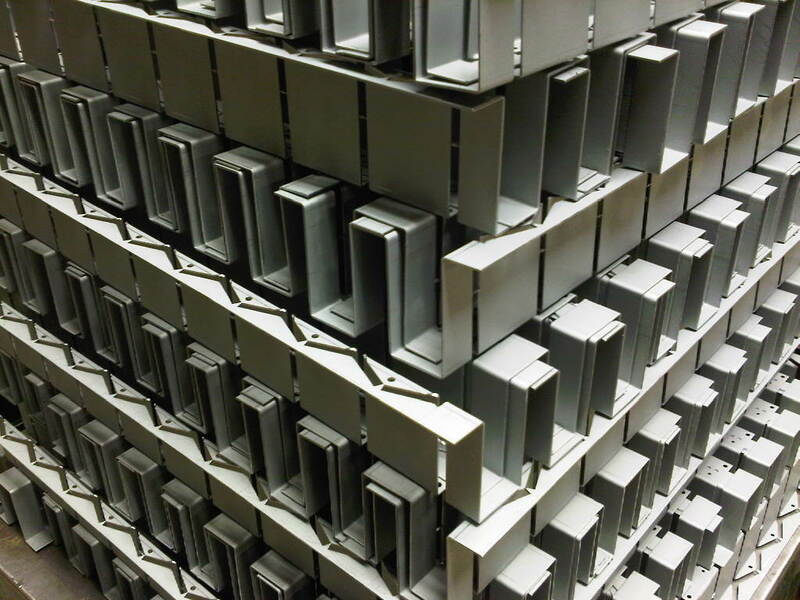 Zintec coated mild steel laser cut blanks ready to be folded up. 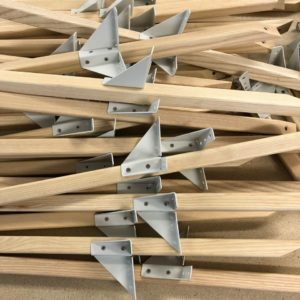 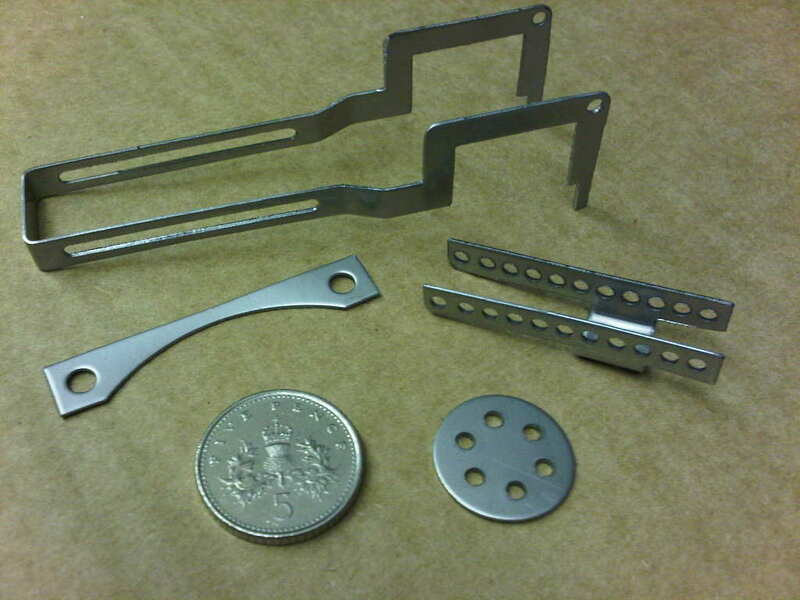 Batches of just a few parts up to many thousands are perfect for laser cutting and CNC bending. 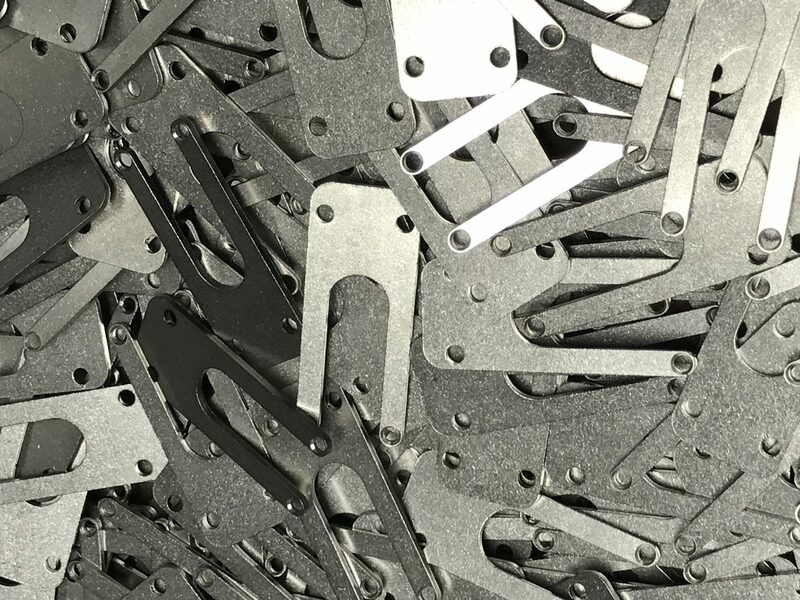 To see more laser cut zintec coated mild steel components take a look at our Gallery Page. 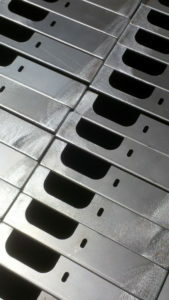 So, if you have a sheet metal project and it’s being manufactured from Zintec we are the people to help you. 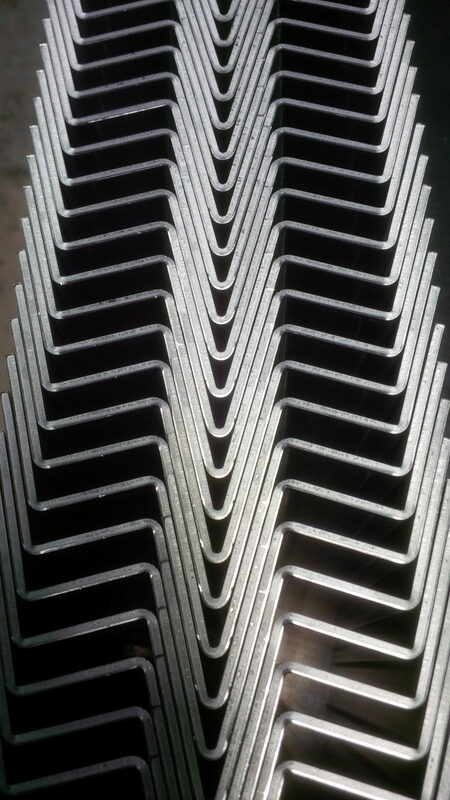 Stocking 0.7mm, 0.9mm, 1.2mm, 1.5mm, 2.0mm, 2.5mm and 3.0mm often on the shelf lead times are kept to a minimum. 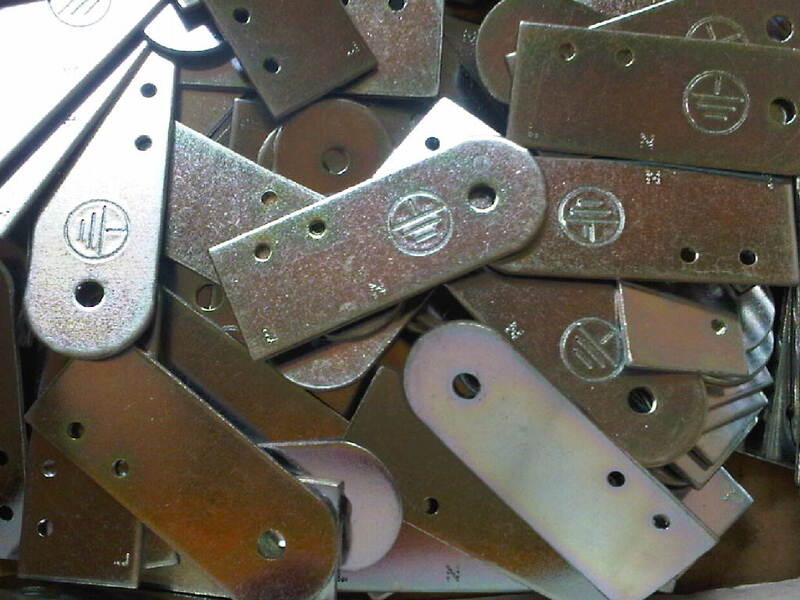 Feel free to send us your drawings to sales@vandf.co.uk or call us on 01489 577786 and we will be happy to help you. 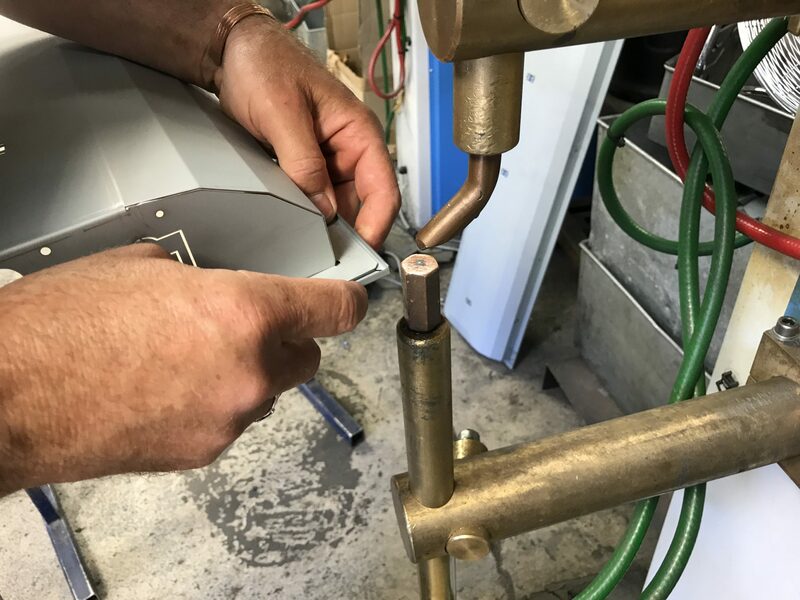 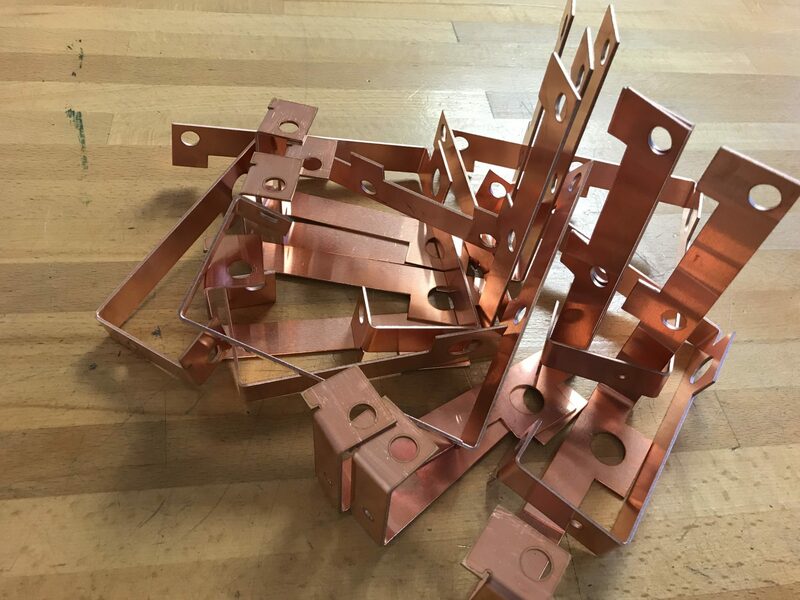 With over 30 years experience in sheet metal work our team have lots of good ideas to help you save money by simple changes to your designs. 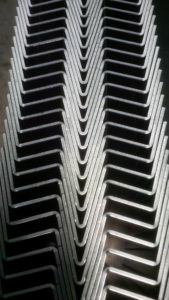 Great example of using our Trumpf 3030 fibre laser cutting machine to produce bespoke hand rails. 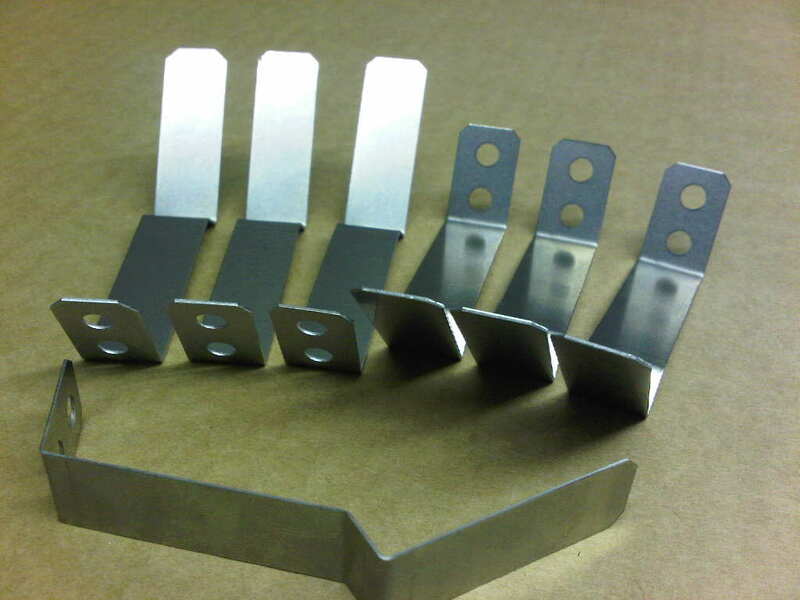 The decorative part details were taken direct from our customers DXF CAD files. Reading it straight into Radan CAD/CAM software was no problem. All we had to do was to clean up the images a little and we were away, laser cutting. All the parts were laser cut for this one off project in under an hour and then onto CNC bending. Stainless steel TiG welds beautifully. 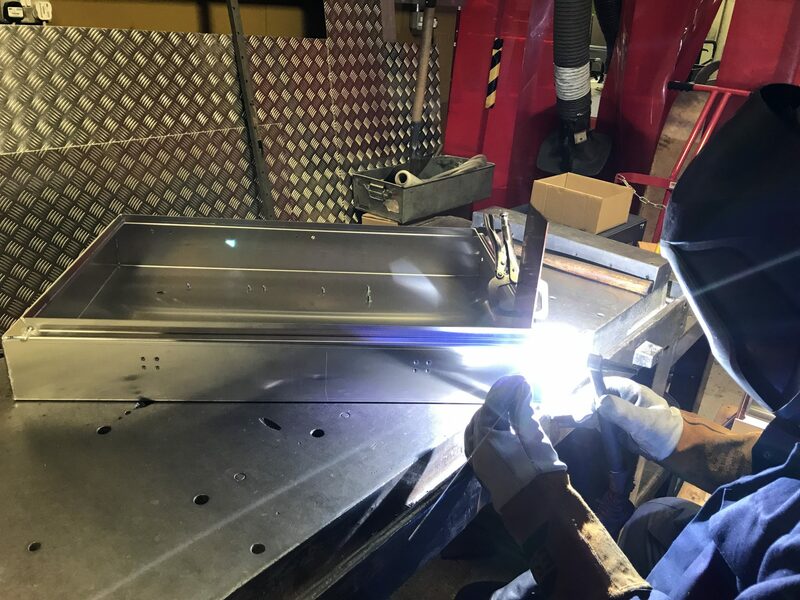 Of all the sheet metal materials we are asked to weld stainless steel is the best. These display board housings were fabricated from 304 stainless steel that had been CNC punched, CNC folded and then TiG welded. 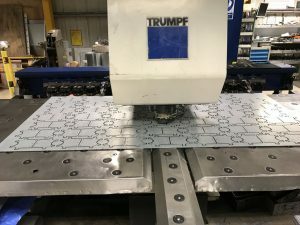 If you look carefully you can still see the bending marks used on our Trumpf 7036 CNC press brakes to create the curved corner sections. 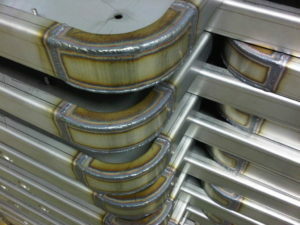 These bend marks were removed during the cleaning up and de-burring process. 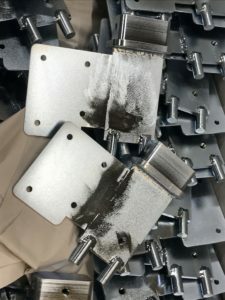 Once the housings were polished there was no sign of the manufacturing process. 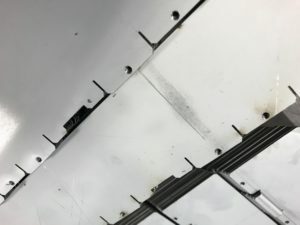 Some stainless steel sheet metal work needs to be protected when being manufactured. 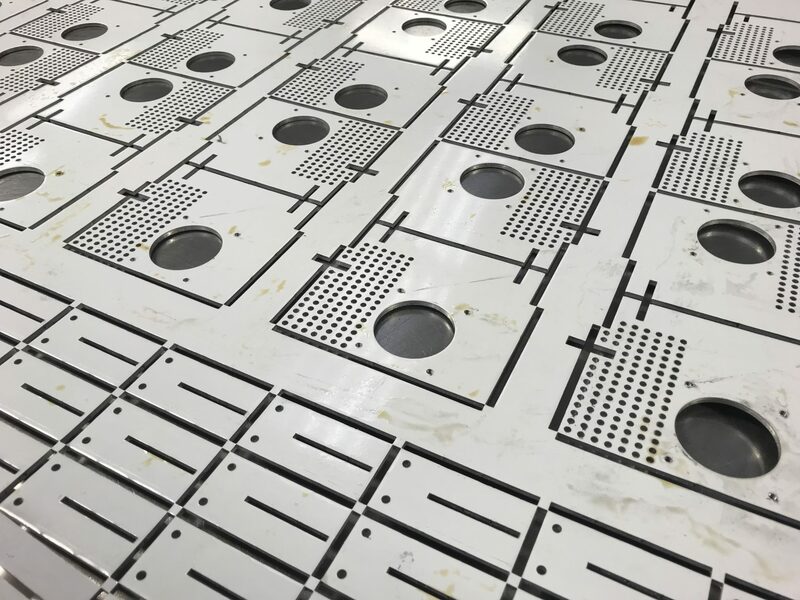 We can specify to the material stockists that we want a peelable plastic film on the surface of the sheet metal. Even with this protective film sometimes the bending process can still press lines into the surface of the sheet from the CNC bend blocks. 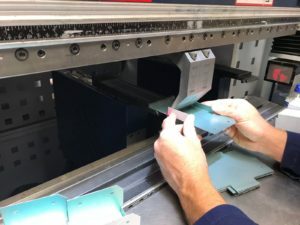 Using an extra thick bend film, as in the photo, enables us to ensure the part will have no marks on the outside surface of the bend. 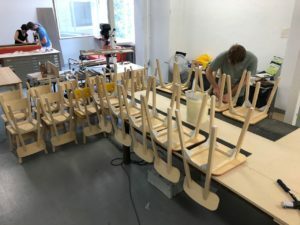 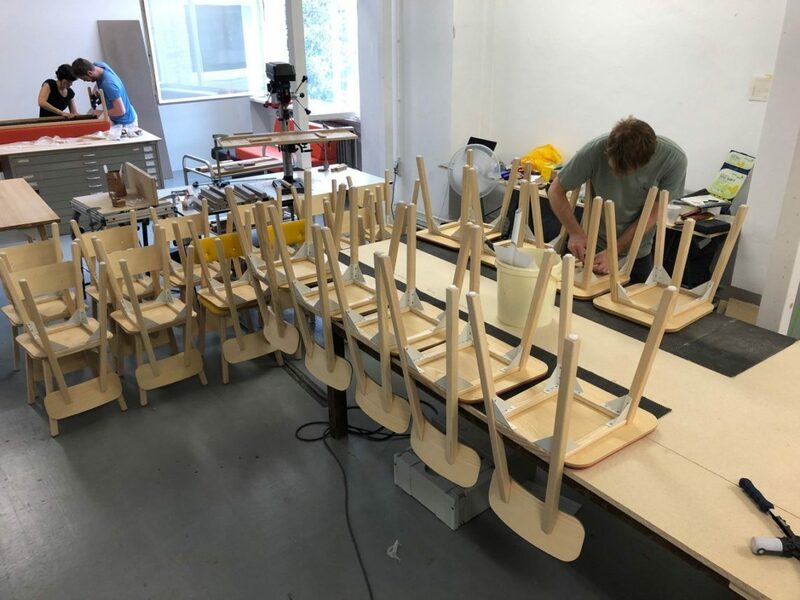 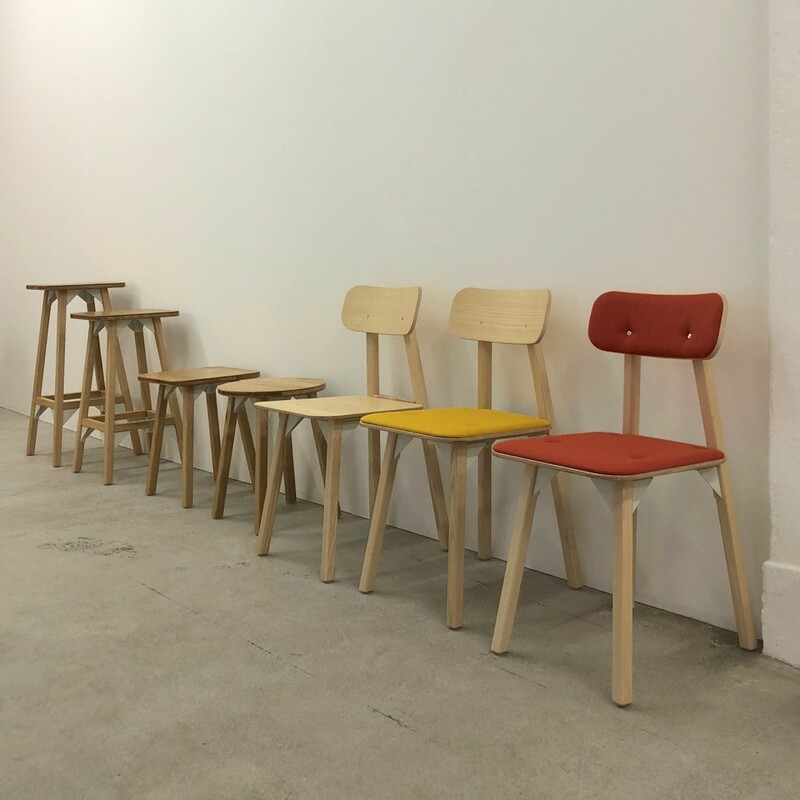 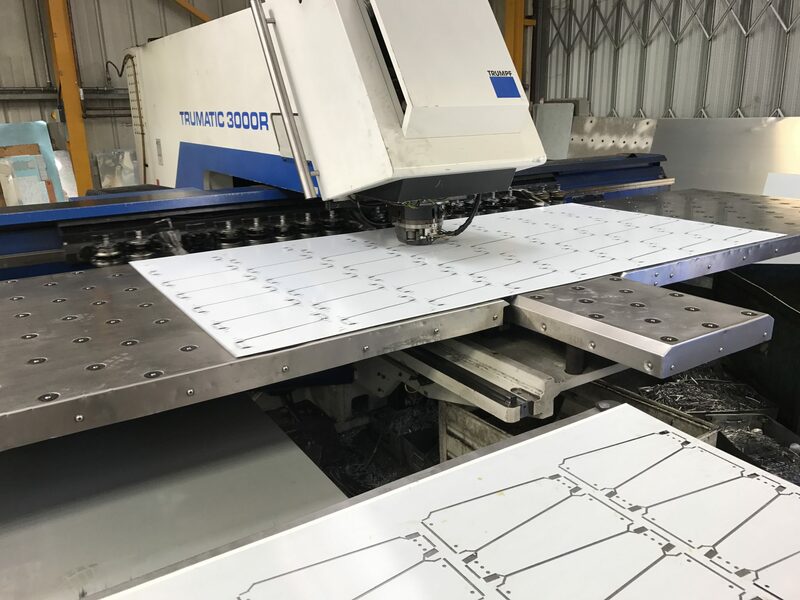 If you have a good idea what you want to have manufactured but just want us to take a look and produce a range of prices for you please e-mail us at sales@vandf.co.uk and we will be happy to help. 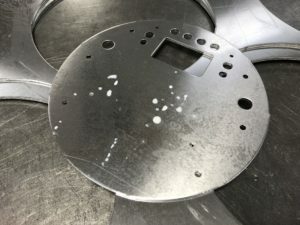 When we receive a drawing for a sheet metal part that’s a circle you might think we automatically go for laser cutting. Well laser cutting is a great manufacturing process to use for cutting a wide range of profiles. 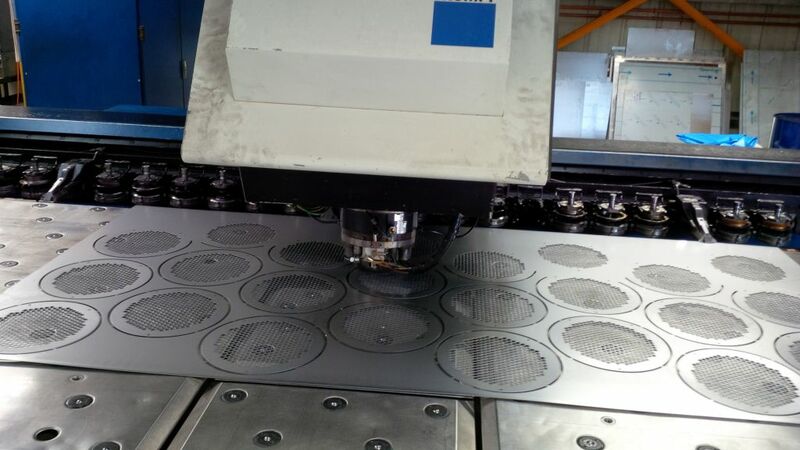 It is the perfect solution for cutting circular discs but there is another option. 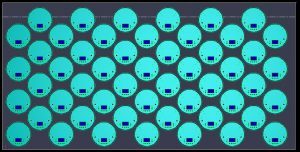 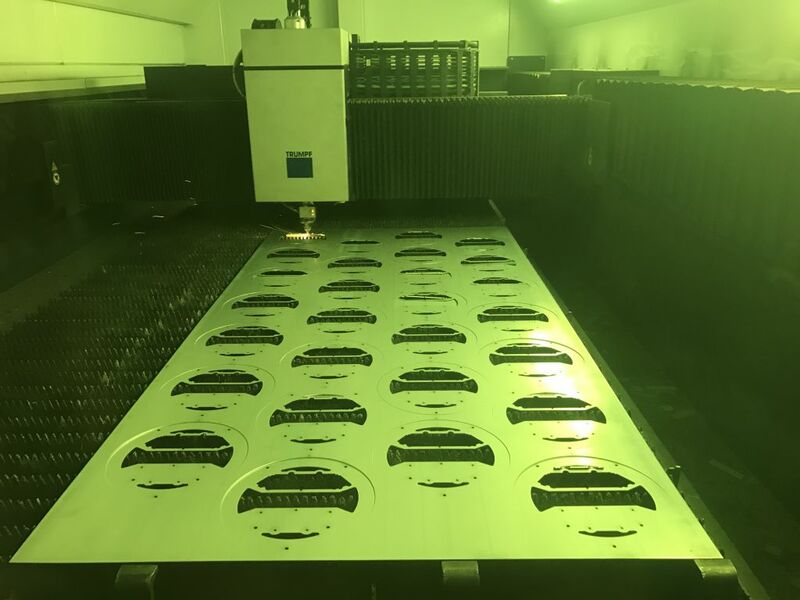 By using a CNC punch press with special curved tooling circular discs can be produced very effectively. 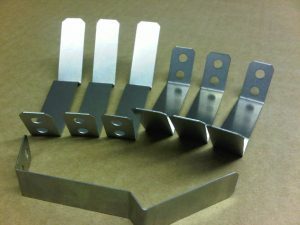 These curved tools are known as “banana” tools obviously due to their shape. 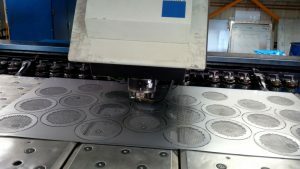 So why use a curved CNC punch press tool when a laser machine could do the job? 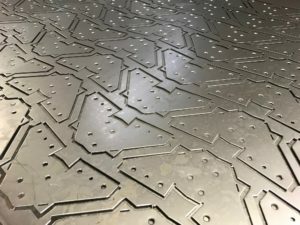 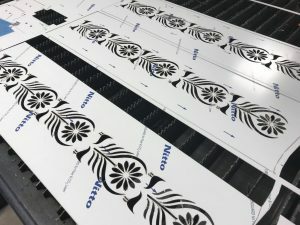 Well the biggest advantage is that the curved tooling allows us to combine it with other tooled features not possible on a pure 2D laser machine. For example you may have a circular disc that also has some tapped thread or countersink holes that could be formed. 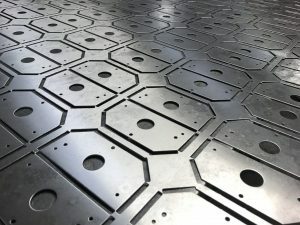 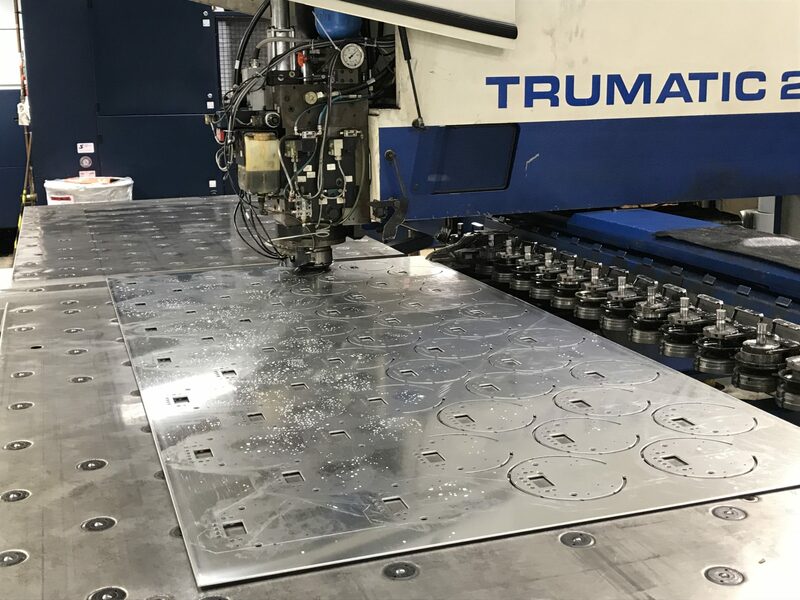 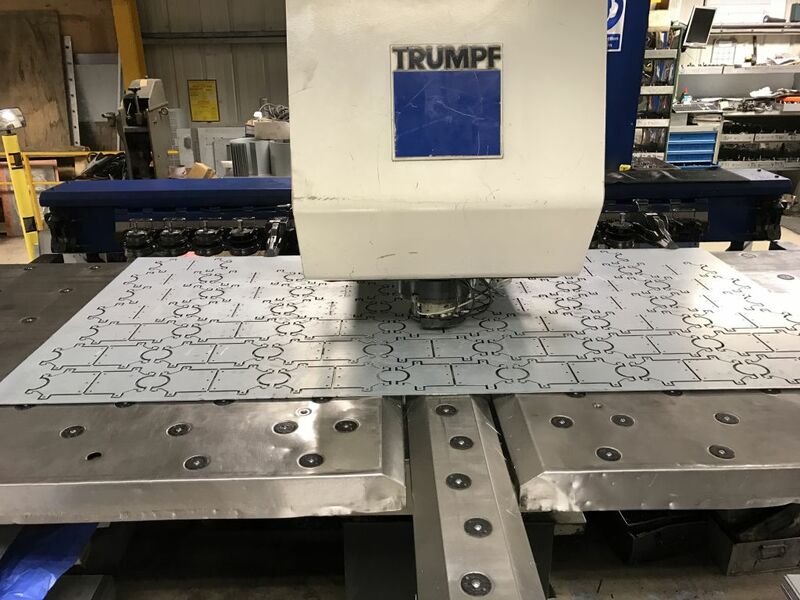 These features are ideal for our Trumpf 3000 punch press enabling us to produce the part much quicker than laser cutting the disc and then having to use secondary operations for tapping the threads or drilling the countersink holes. 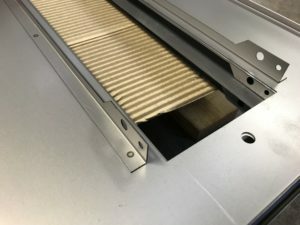 Banana tooling can also be useful with a CNC punch press if the material doesn’t suit laser cutting. For instance highly reflective lighting materials that are cut and folded to make light fitting reflectors cannot be cut on laser machines. 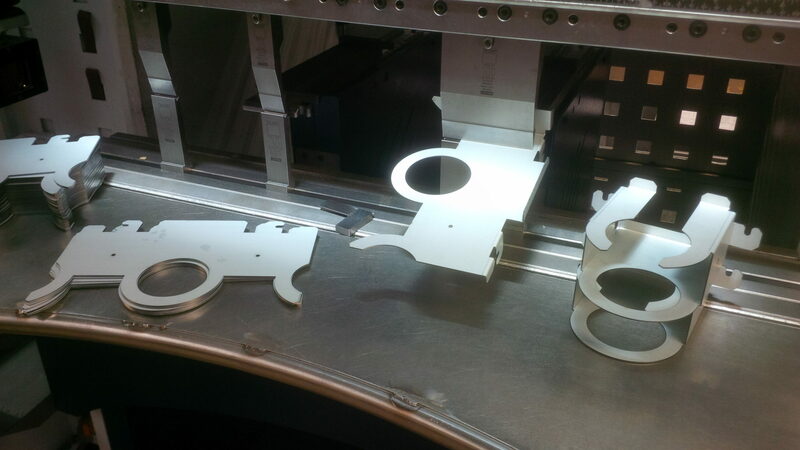 Also, pre-painted materials are better suited to CNC punching as the laser cutting edge can burn the painted surface. 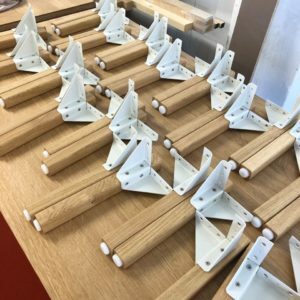 To see hos these banana tools work in action please take a look at our video here. 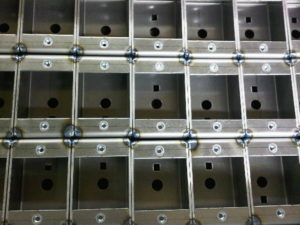 You can see how effective the tooling is and ho quick the parts can be produced. As ever if you have a sheet metal design where it has a circular form or not we will be happy to take a look at it for you. 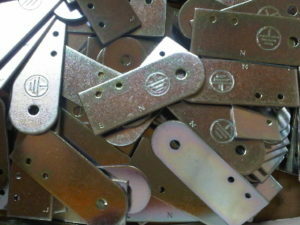 Please send your drawings to sales@vandf.co.uk as we will work on some price options for you. 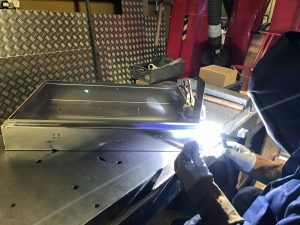 Sheet metal work in Great Britain is still alive and kicking. 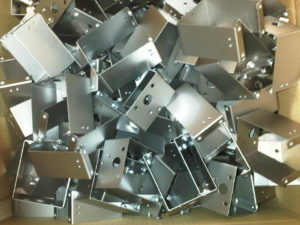 Here at V and F Sheet Metal we are busy helping to develop products for our UK based customers. 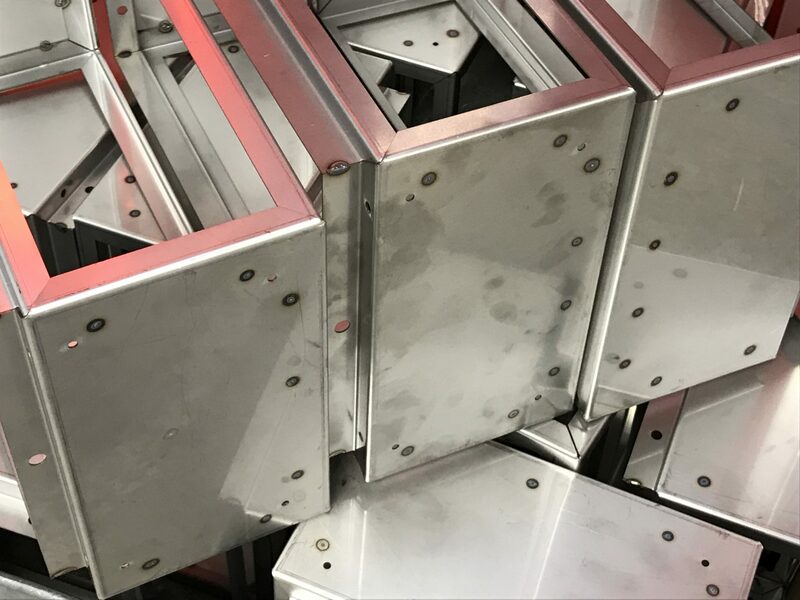 We are constantly investing in new sheet metal production machines and software to improve our parts production quality and the speed with which we can manufacture them. 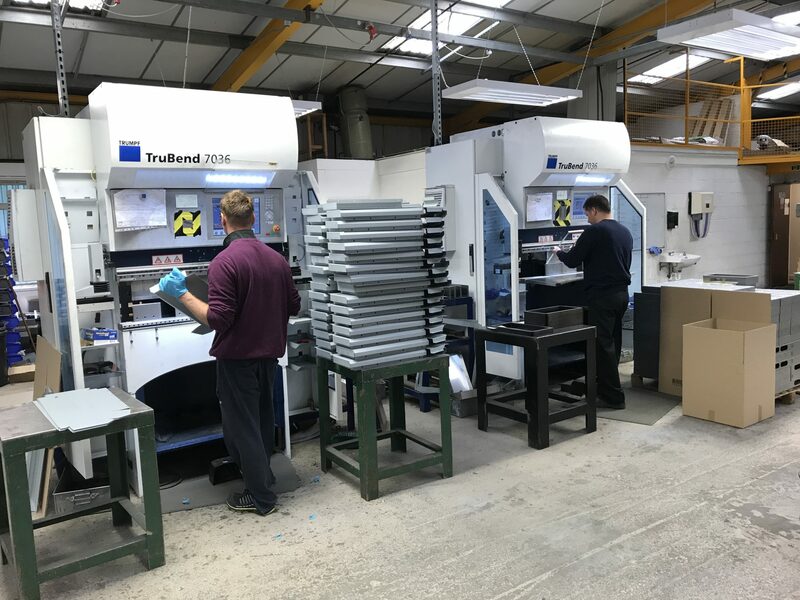 Improving turn around times and reducing costs is always on our mind and central to our mission. As well as producing sheet metal work for you we are also here to help you get the very best from your sheet metal designs. 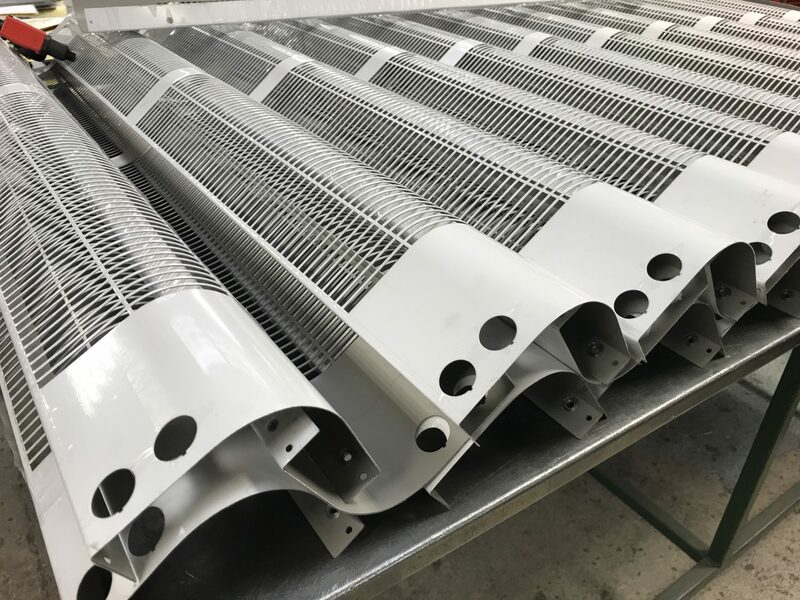 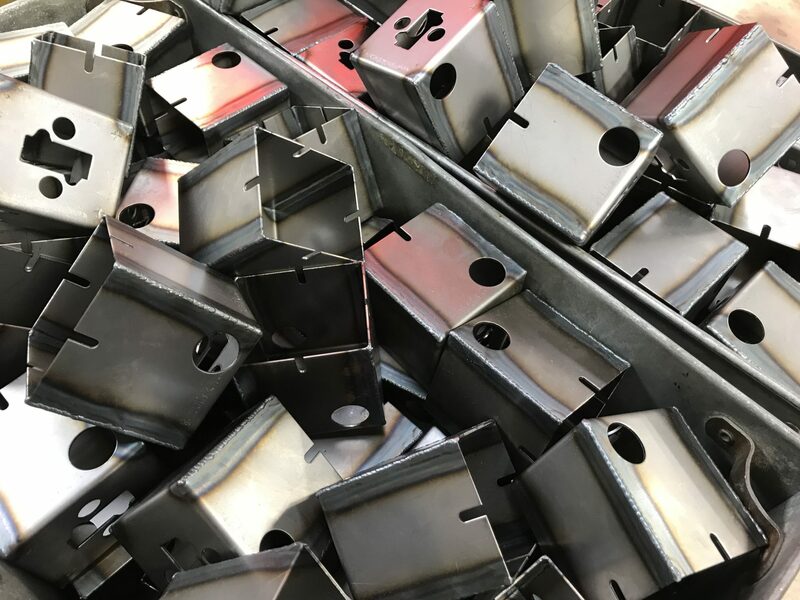 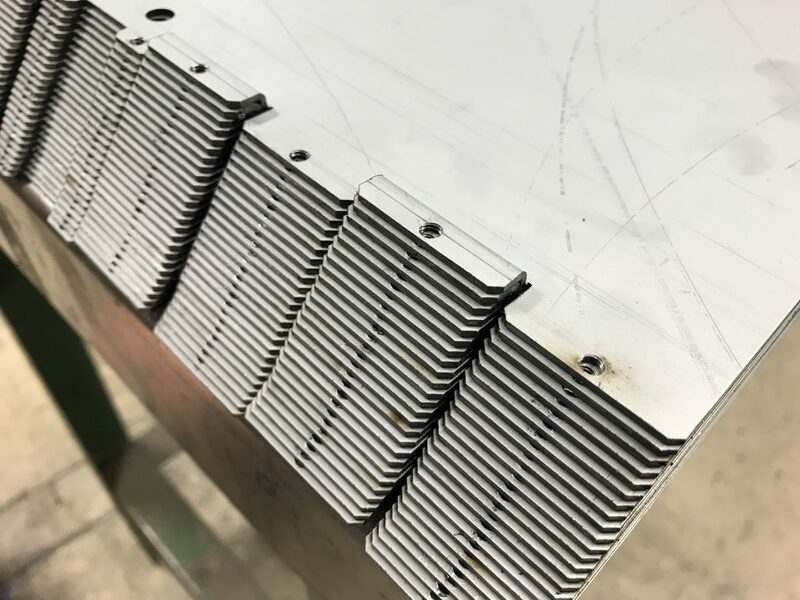 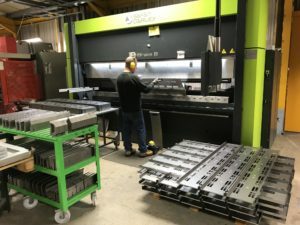 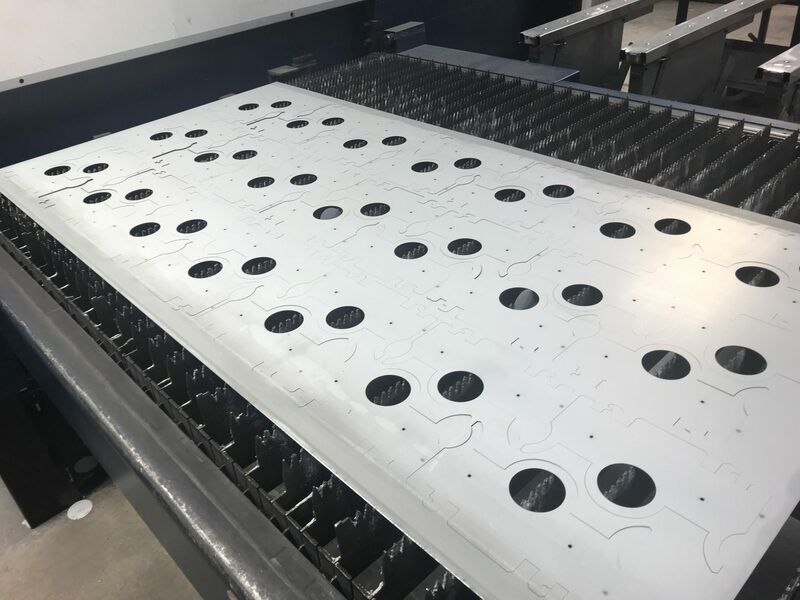 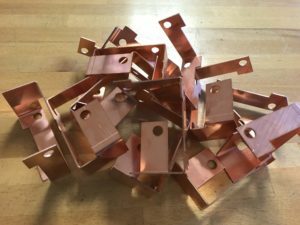 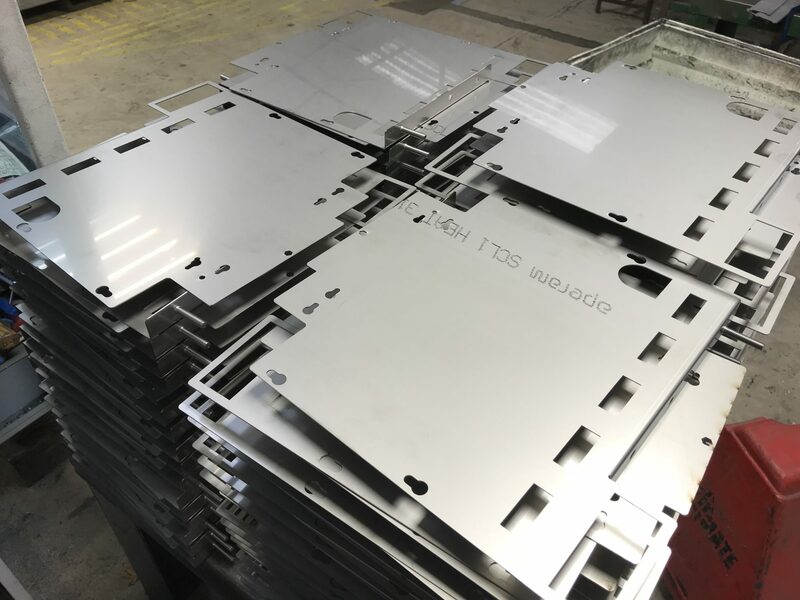 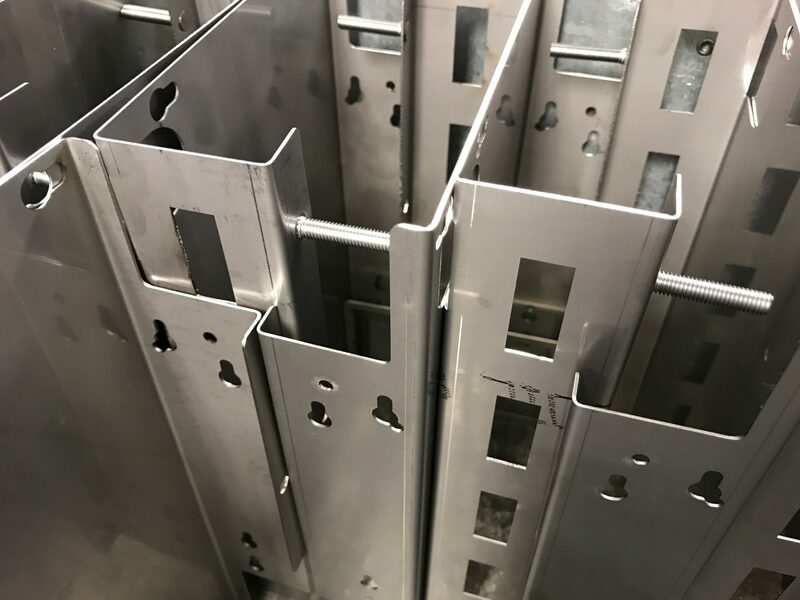 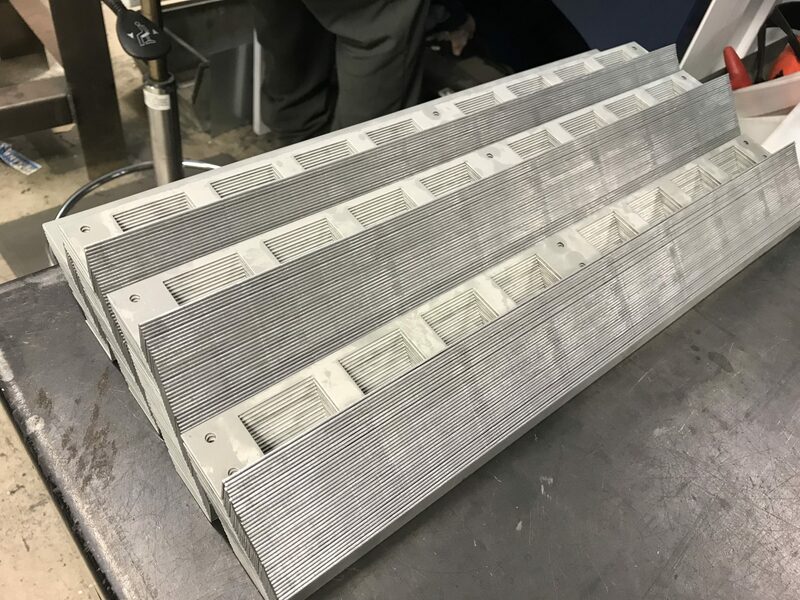 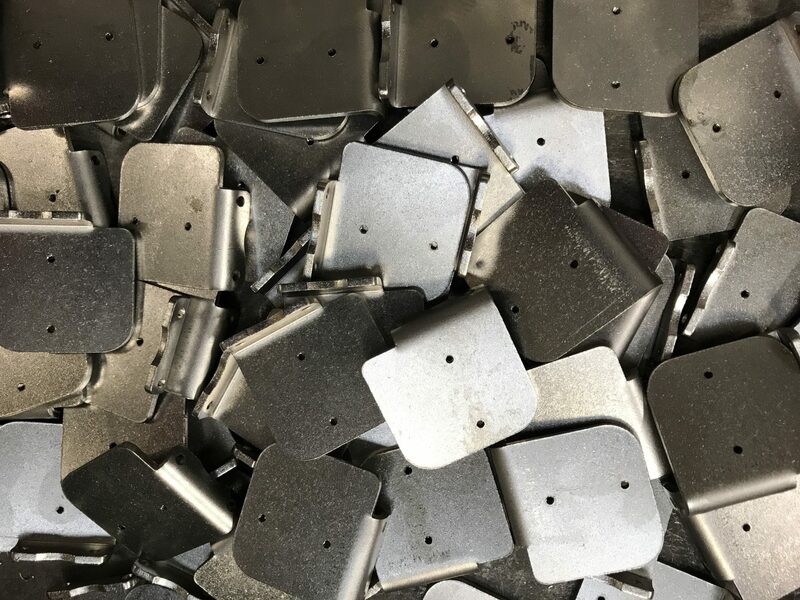 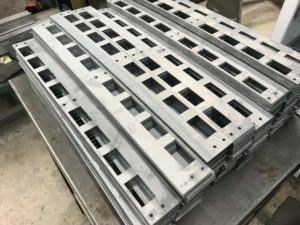 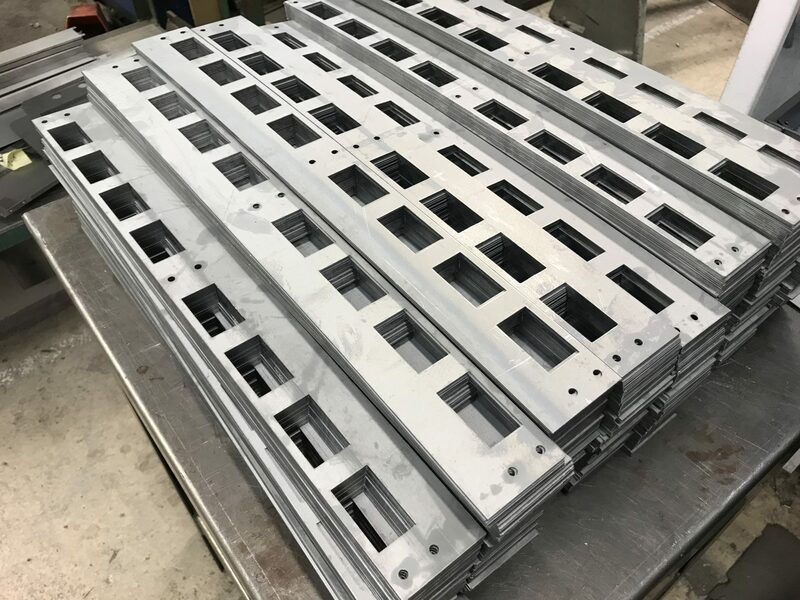 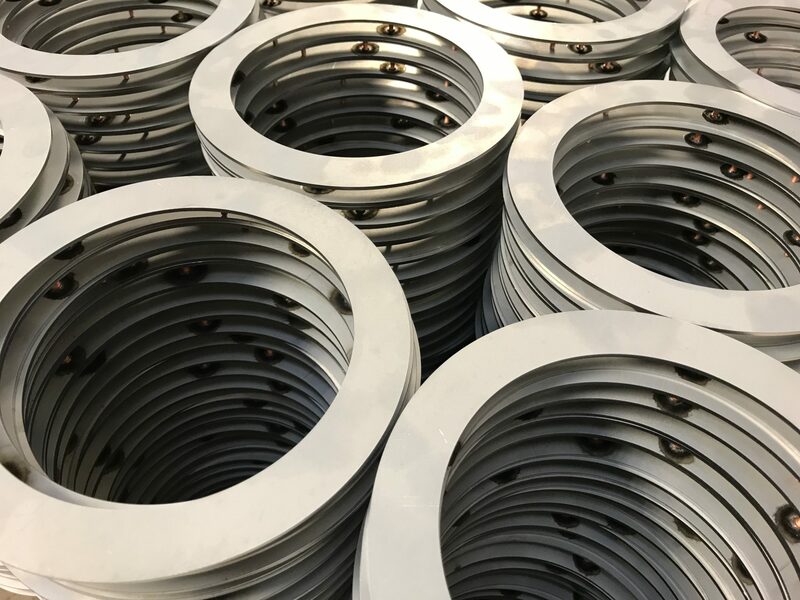 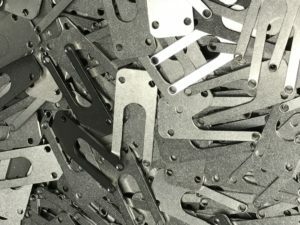 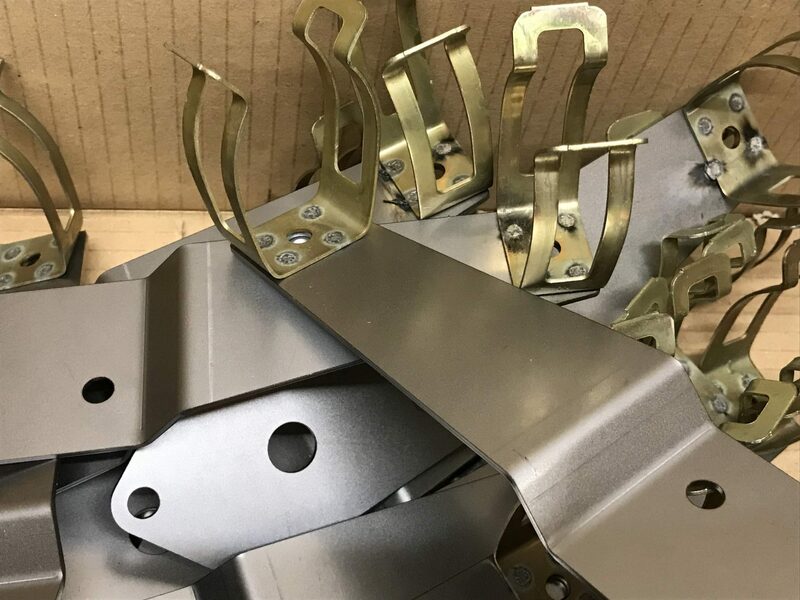 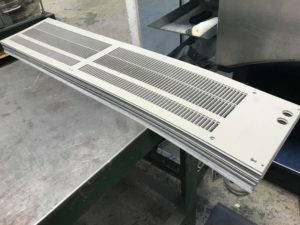 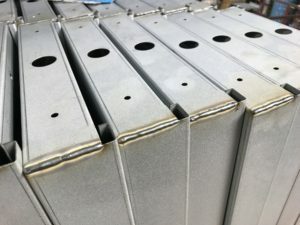 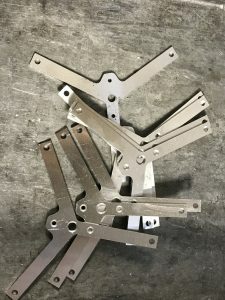 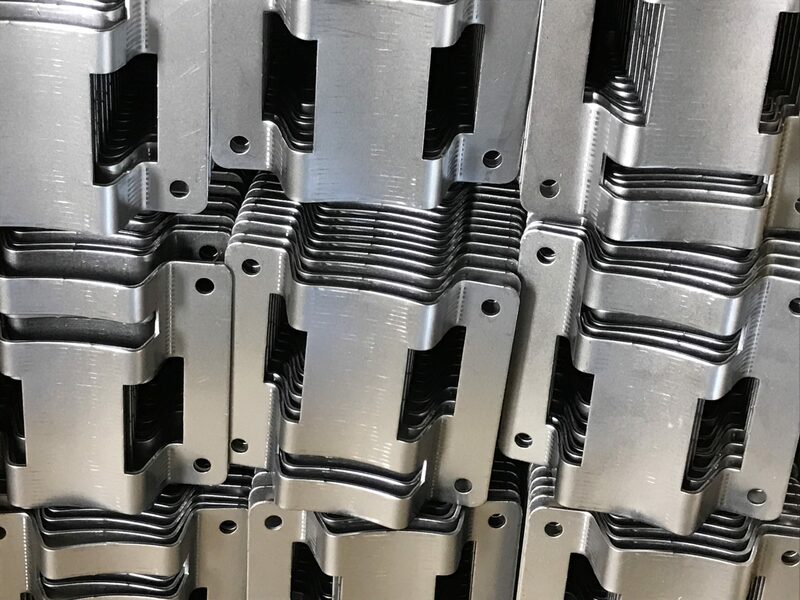 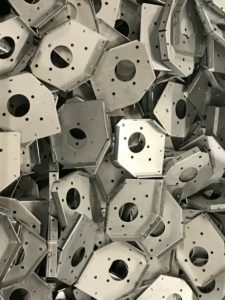 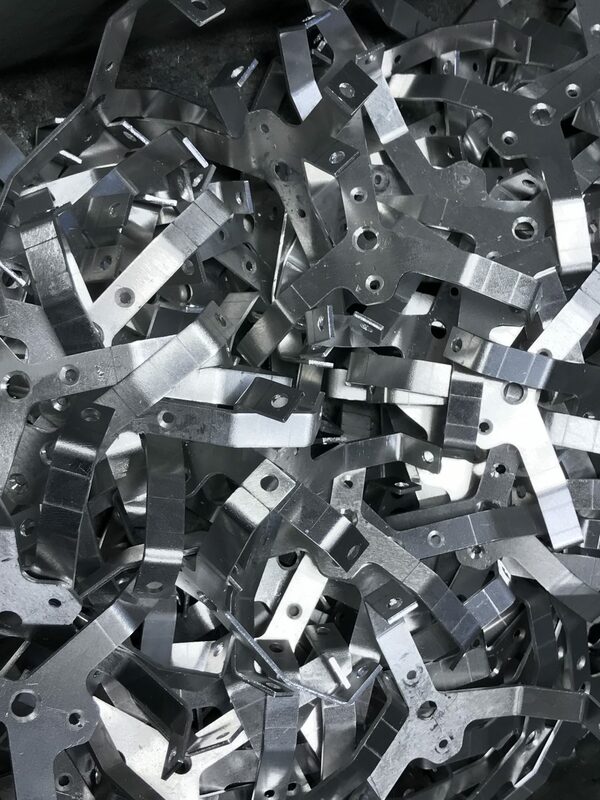 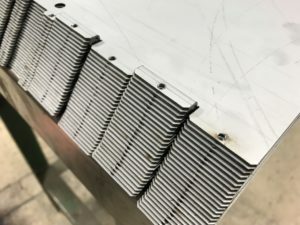 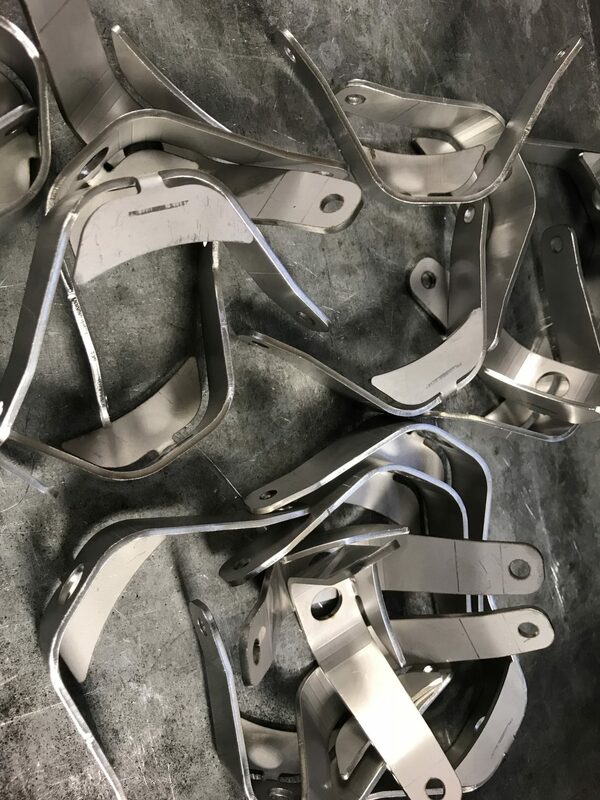 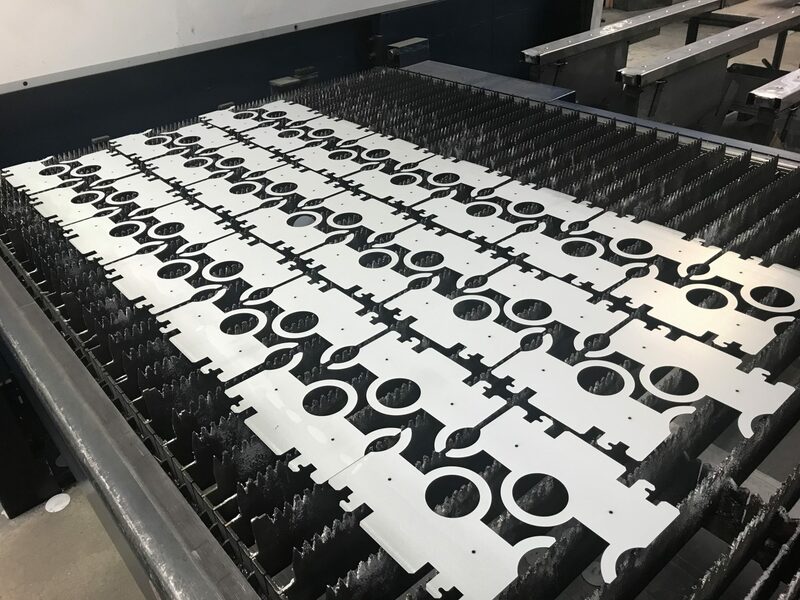 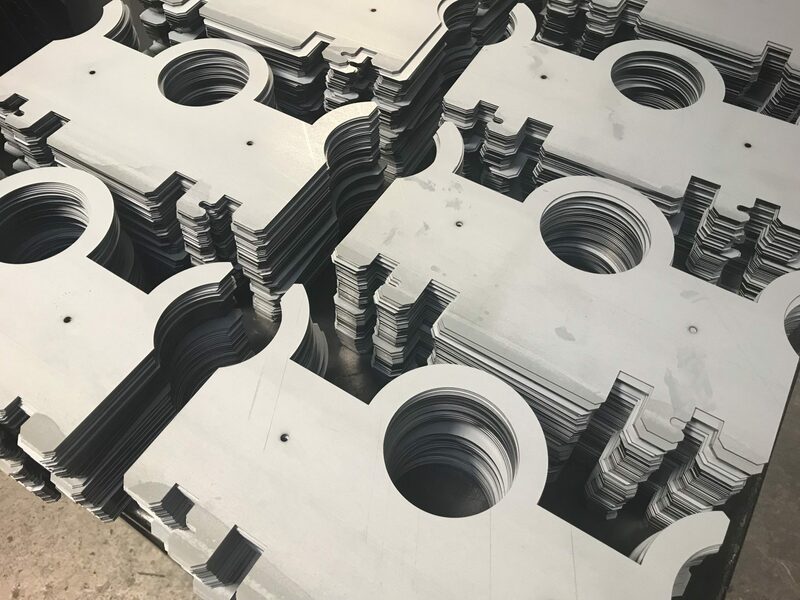 By adding our decades of experience in sheet metal batch production to your design team we can help you produce the most competitive sheet metal parts around. Call our sheet metal work engineering team for a chat and run through your ideas with us. 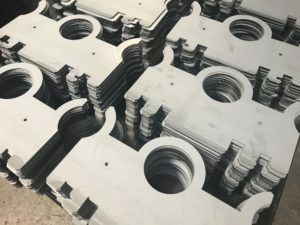 Often just to review the tooling or sizes of a part to get the best from a standard sheet of material can have a big impact on your part prices going forward. Anyway, you have nothing to lose as we help our customers for free. If you already have finished designs or old projects you might want to swap supplier on then by all means send us your drawings. 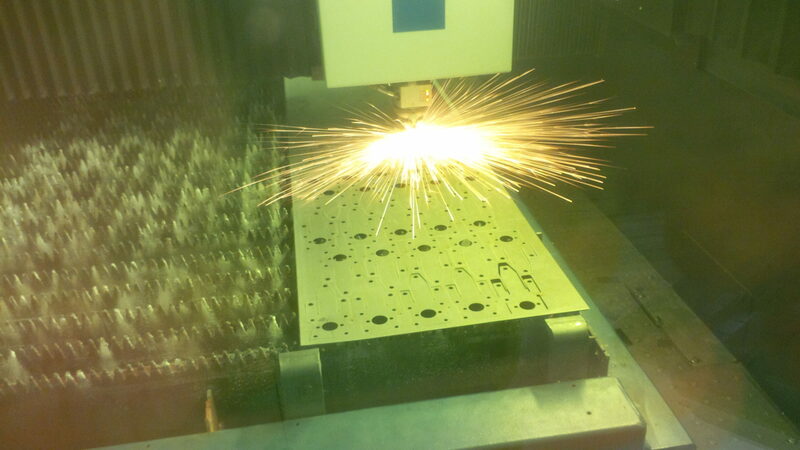 Using the latest CAD/CAM software we can analyse your ideas and easily produce different price estimate options. 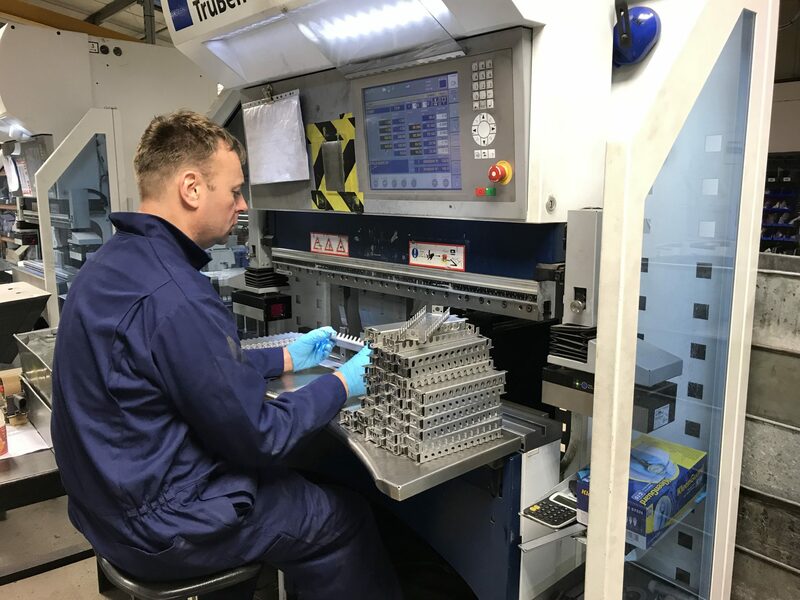 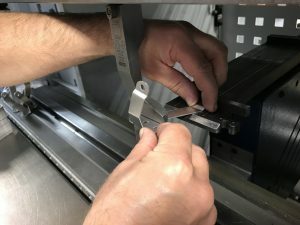 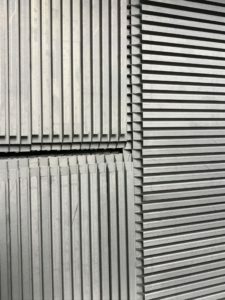 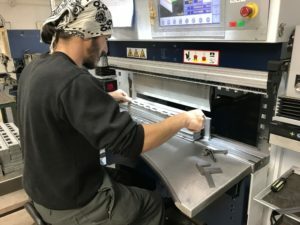 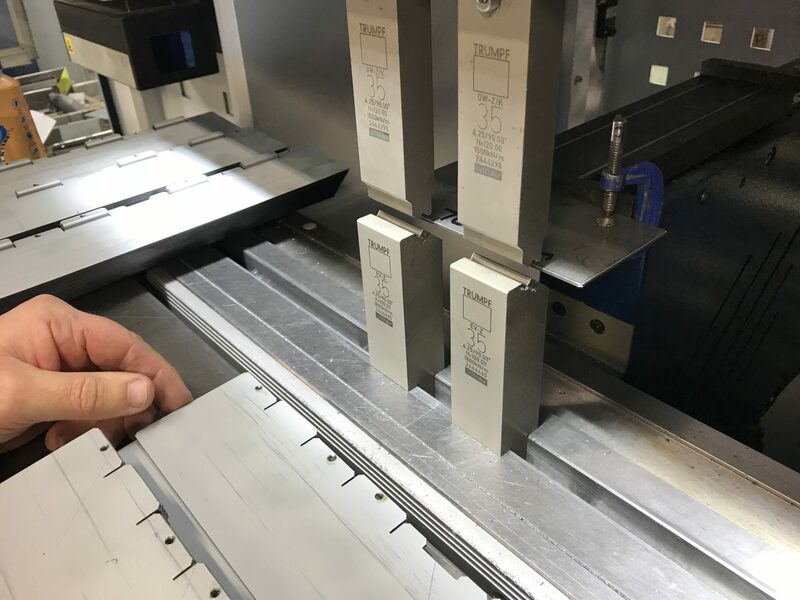 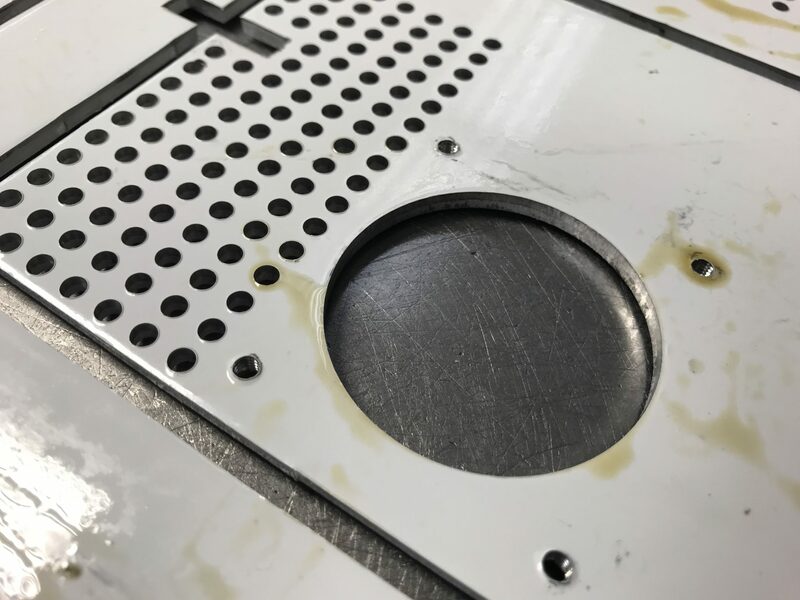 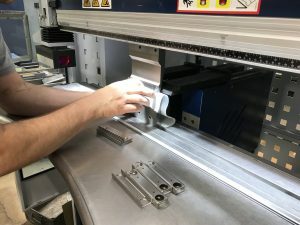 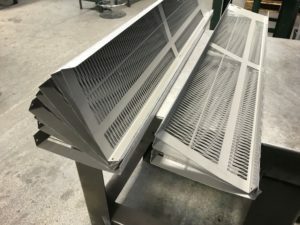 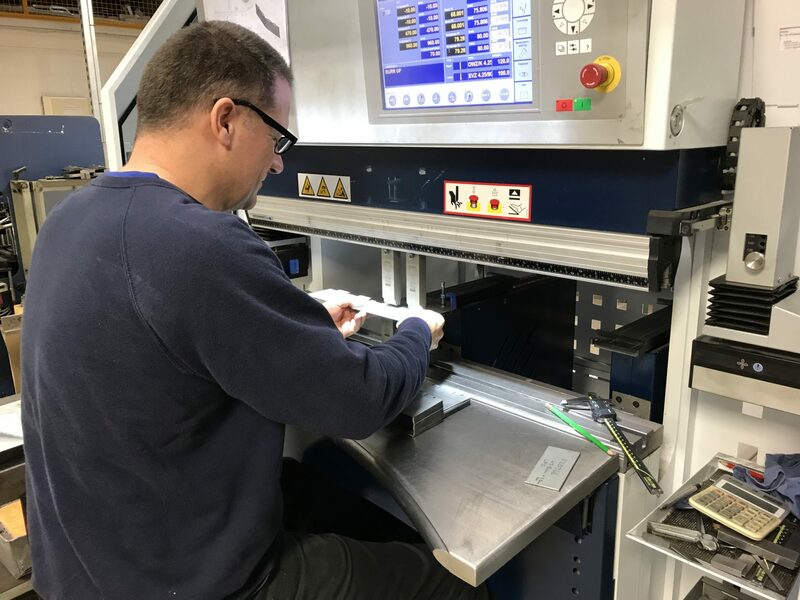 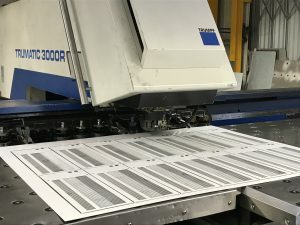 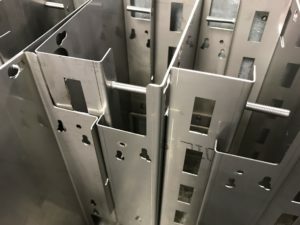 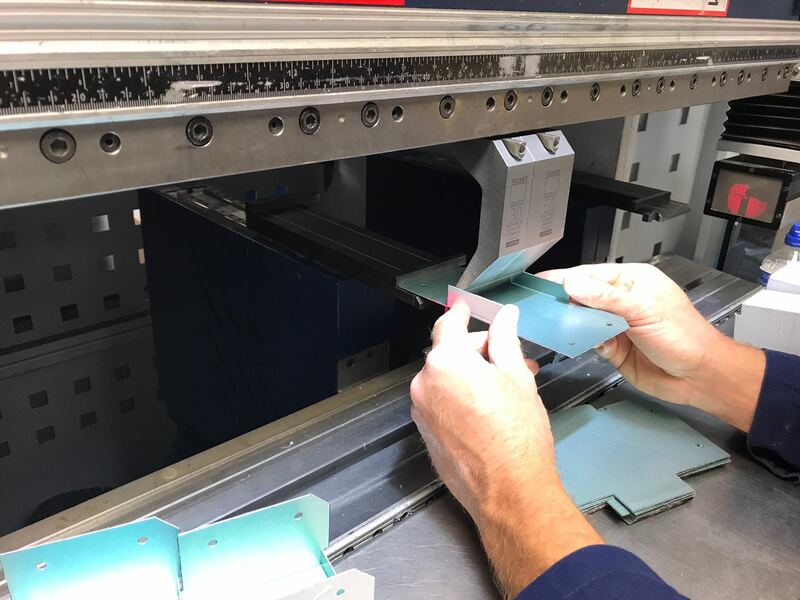 If you want to read in more depth about sheet metal work and how we go about producing components with our production equipment please take a read here. 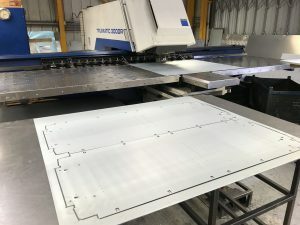 To see thousands of examples of sheet metal work projects produced in Great Britain you have to have a look at our Pinterest Boards. 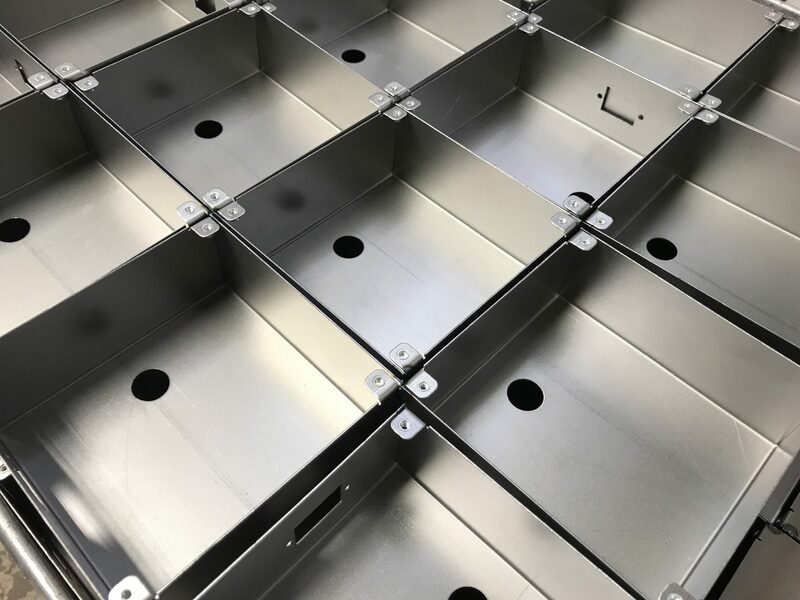 Please give us a call on 01489 577786 or e-mail us at sales@vandf.co.uk to make a start with your new sheet metal work project.